A face with small oval eyes, slight downturned curved mouth and boldly angled eyebrows. This emoji is mad, no way around it. 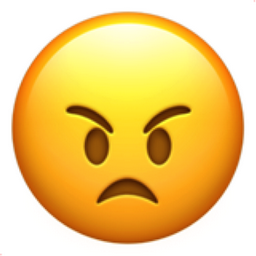 What in the world did you do to make this emoji so mad? The person is angry with something. iEmoji old name: Peeved or slightly angry.